Do you hear the sound of the sea? For those who want to take the shells with them always. 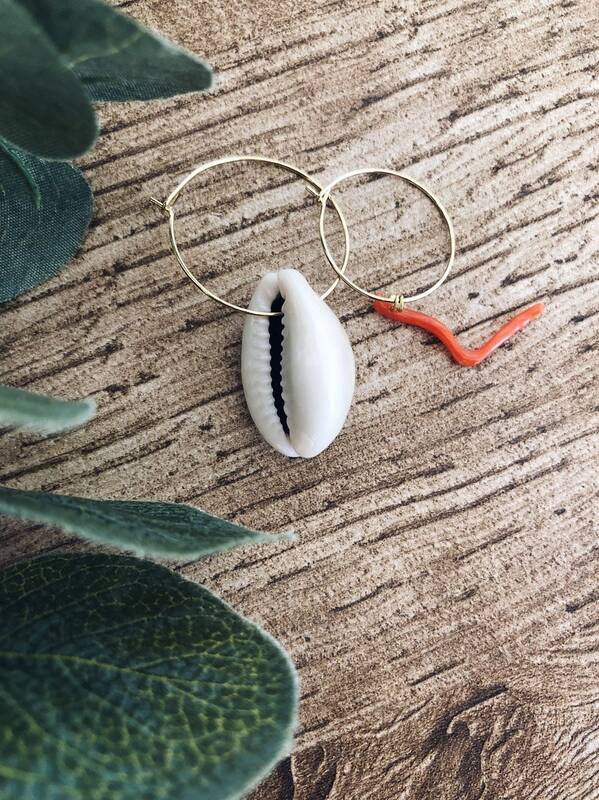 These earrings are made with gold-plated brass circles and pendants shells and coral.